Misadventures in Learning has Moved! Misadventures in Learning is moving! I've enjoyed the experience of launching this blog and very much appreciate the feedback people that have read it have provided. 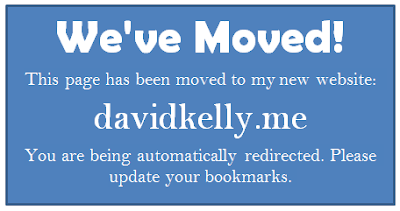 There are additional things I would like to do going forward that are somewhat limited in Blogger, so I've migrated to a new WordPress site at http//:davidkelly.me. The new site is going to be more personally branded, will feature the curated backchannel posts more prominently, and will serve as a primary contact point for some independent work I am involved in. I am looking forward to taking advantage of some of the new sites advanced features to share different types of content on the site. 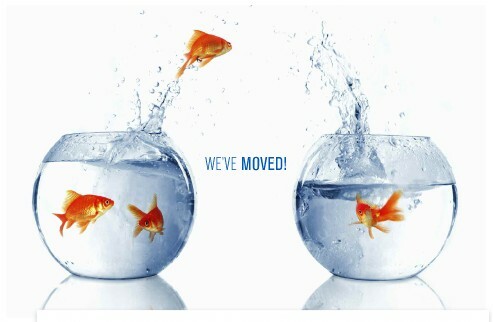 It's an exciting transition, and I hope you come along for the journey. This is the last posting I will be making to this site. The site will remain active for the foreseeable future, so any favorited links will still work. I have migrated all of my posts to the new site, so anything I have posted here will also appear there. Thanks to everyone for taking the time to read what I post here, and for providing feedback that helps me understand what contributions people in our industry find most valuable. I am looking forward to the next chapter, and hope to see you on the other side. For the 2012 ASTD TechKnowledge conference, I am conducting both a webinar and a live concerrent session for the conference. Both sessions are covering the same topic: Twitter 101 for the Learning Professional. This blog post is being set up a follow-up resource for those that attend one of my sessions. It may also serve as a resource for anyone that wants to learn more about how to use Twitter. This series of videos explains how you can build a training program directly within Twitter, using the media playing capability of the service. While Twitter recently changed some of the features and the structure of it's webpage, the principles of these videos still apply. It also provides an opportunity to share some of the work of the late Terrence Wing, who was a strong voice of the use of Twitter and social media for training professionals. 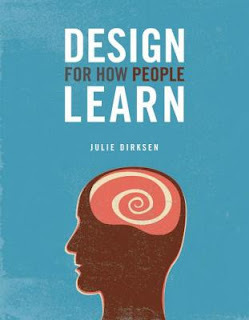 I just finished reading Julie Dirksen’s new book, Design for How People Learn. The core audience of this book, at least in my mind, would be the Instructional Designer. I think the book has value well beyond that core audience based on one of the things that make it unique. Design for How People Learn discusses not only design for learning, but also design for memory and design for attention. If you ever have the need to create materials from which users will gain, retain and use information and skills, this is a book that can help you be successful. What I liked most about this book was the style in which it is written. The book stands upon a great deal of research, yet it never feels as though you are reading a stale report or case study. The tone of the book is extremely conversational, as if you were sitting at a table sharing coffee while the author shares with you tips she has learned in her practice. And the tips shared are extremely valuable. The book explores the importance of getting to know who your learners are, what learning goals really are, and how humans remember and recall information. It then builds on that knowledge to separately address and share tips on how to design learning to gain attention, to gain knowledge, to develop skills, to motivate, and to address gaps in the learner’s environment. I think this book is an excellent resource and should be added to the reading lists of both new and experienced Instructional Designers.